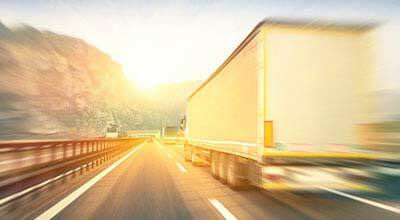 Tonopah, Arizona—An early morning accident on Interstate 10 involving three semi-trucks left one driver dead and sent another to a nearby hospital. According to the Arizona Department of Public Safety, the multi-stage accident occurred this morning around 5:15 a.m. when, for unknown reasons, a semi-truck rolled in one of the eastbound lanes of I-10. Another semi traveling behind it safely came to a full stop. The driver of a third semi was unable to stop in time. He was killed when his truck smashed into the second. 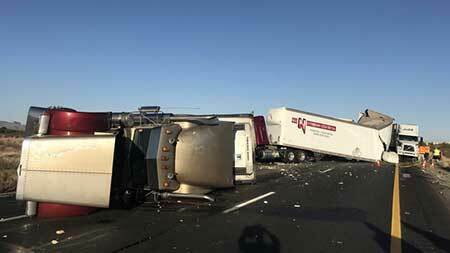 The impact of the collision pushed the second rig into the first, injuring the driver of the second truck. He was transported to a hospital and his condition is not known. The driver of the first truck was not injured. Crews are waiting for the arrival of multiple heavy-duty tow trucks to remove the wrecked semis which are blocking the roadway. The Arizona Department of Transportation anticipates cleanup will last throughout the day. Investigators have not released the identities of anyone involved in the accident. We extend our condolences to the family and friends of the driver who died and we wish a rapid recovery for the injured driver.